Hey Guy’s, Looking for best printer under 10000? Here we list down some top models of the printer which can use in the office as well as home. There are things to check before choosing any printer. you should know every aspect of your uses. you can consider things like speed of printing, connectivity with devices, cost per page, support and warranty. In this article, we will talk to you shortlisted list of best printer detailing with the best brand and its prons. Check out my list of best printer under 10000 which make your shopping awesome. Brand: When you are going to market, numerous brand available in the market. But, you have a no any idea which brand is best. Best provides the best quality material. So Choose The Right Brand. DPI Resolution: DPI means Dots Per Inch. Check dpi resolution for the sharp and crisper print result on the paper. Duty Cycle: Duty cycle called monthly duty cycle. 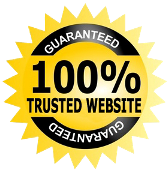 The term tells that an absolute number of pages print in the per month. Generally, you can select above 2000 pages duty cycle under 10,000 printers. Warranty: You must check the warranty period. If any parts are not work in the warranty period, you can get free services. 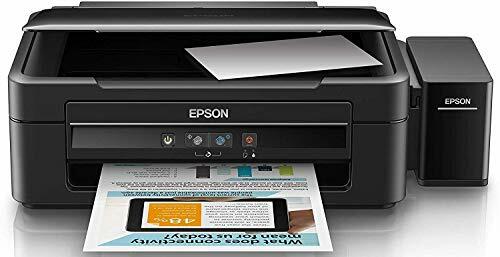 If you are looking for a reliable printer which guarantees low cost and high-quality prints, then Epson L361 Multi-Function Ink Tank Colour Printer is the ideal choice. 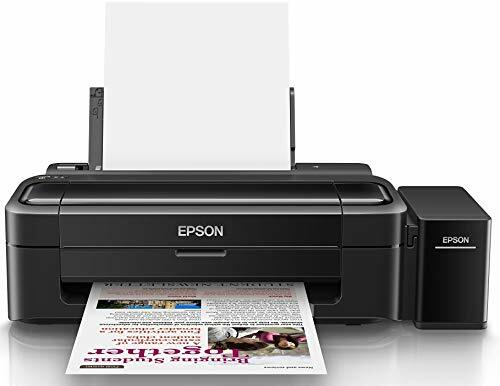 The Epson printer makes use of ink tank printing and can be used for the scan as well as copying too. The best part about Epson L361 Multi-Function Ink Tank Colour Printer is, it follows the flatbed scanning mechanism. The printer assures high-quality color output. 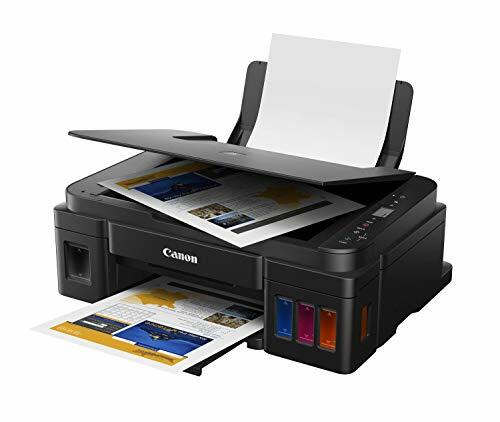 You can connect the printer via USB and it assures 33 pages of printing each minute in case of black and white printing. For color, you can efficiently use the same Epson L361 Multi-Function Ink Tank Colour Printer. It prints 15 color pages in a minute. Ideal for both color and black & white printing. The brand HP needs no introduction, it is one of the best and reliable bands which has excellent printer models in their credits. The HP 310 All-in-One Ink Tank Colour Printer performs all in one functionality, ie, printings cloning and copying. The printer can efficiently print 7 -8 black and white pages in minutes. The overall cost of each page is just 18 paisa for color printouts. HP 310 All-in-One Ink Tank Colour Printer is robust and can support more than 300 pages printing in a month. The maximum range can go up to 1000 page in 30 days. 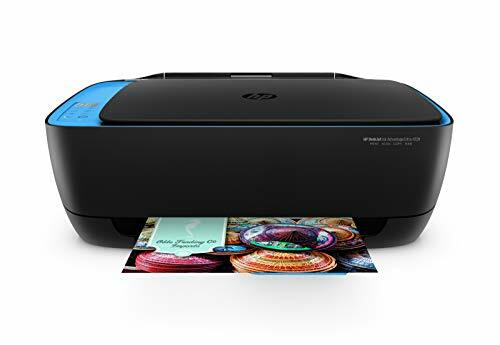 If you need a budget-friendly and durable color printer, HP All-in-One Ultra Ink Advantage Colour Printer is the most trusted choice. It takes care of print resolution and can stretch up to 4800 x 1200 DPI color. An ideal choice for both color and black and white prints. The HP printer supports various page size like A4, B5, A6 and even envelop. The HP All-in-One Ultra Ink Advantage Colour Printer can print up to 1000 pages in 30 days, it is the most reliable choice if you prefer color printouts. Moreover, the HP All-in-One Ultra Ink Advantage Colour Printer offers connectivity via Wi-Fi and USB app. When it comes to high-quality printing, Canon Pixma G2012 All-in-One Ink Tank Printer is the most credible choice. This ink tank printer prints both color and black and white prints. It can be connected via USB cable and the LCD display makes functioning pretty easy. The Canon Pixma G2012 All-in-One Ink Tank Printer is fully compatible with Windows 8, 8.1, XP, 7 and 10 version. But, it does not support the MAC operating system. If you want to own a printer only for printing purpose, Epson L130 Ink Tank Colour Printer is the best choice. It does only a single function that is printing. The output is both color and regular print. The printer can be connected via the USB 2.0 specification. This sturdy color printer supports all type of page size that includes A4, A5, A6, DL etc. The printer works perfectly for home and office usage. It can print up to 15000 pages and comes with 1-year warranty. The Brother HL-L2321D Monochrome Printer is an emerging brand which has received huge popularity in a short span of time, all thanks to the excellent laser printer type. It is ideal only for black and white printing. 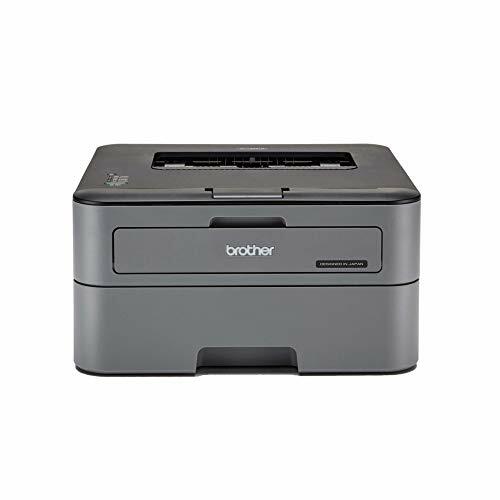 The Brother HL-L2321D Monochrome Laser Printer only supports USB connectivity. The cost of each print is approximately only 1.5 rupees. This robust printer can print up to 30 pages in a minute. The brand HP is the market leader for the laser printers. 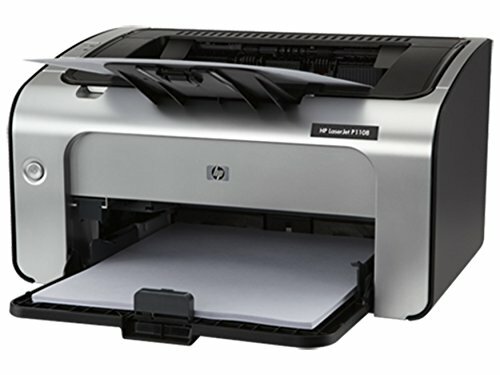 The 1020 plus model from HP is the best LaserJet printer. It supports only printing and the output is black and white only. 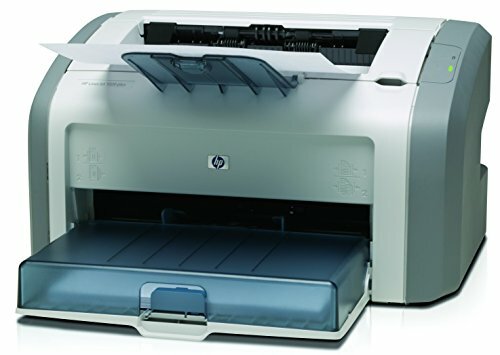 The HP 1020 Plus Monochrome Laser Printer can deliver 14 pages in minutes and cost of each page is just 1.4 INR according to the ISO standards. The 1020 plus model of Monochrome Laser Printer from HP is suitable for businesses and offices. It supports the 5-7 type of page sizes and the print resolution can go up to 600 x 600 DPI. HP 1020 Plus Monochrome Laser Printer is a robust printer which can print a maximum of 5000 pages in a month. Perfect for small offices and home. The model P1108 from HP is another effective Laser printer which provides black and white printing only. The USB port offers the needed compatibility to the HP LaserJet P1108 Laser Printer. The device comes with a 1-year warranty and the cost of printing each page is 2 INR. The P1108 HP LaserJet printer can print up 18 pages in minutes. The HP LaserJet P1108 Laser Printer is highly used for home and schools. 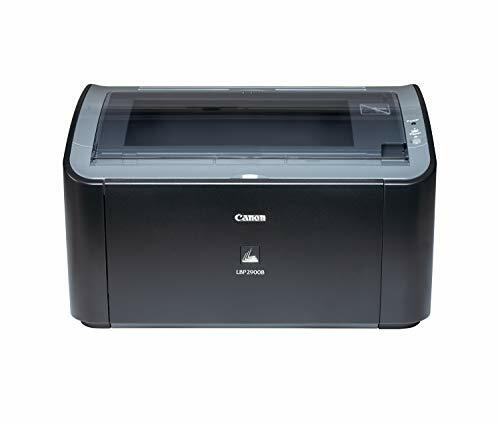 The laser type printer from Canon LBP2900B Laser Printer is the best choice for regular and heavy office and home printing. This Laster printer from Canon is ideal for monochrome printing. It supports USB connectivity and offers a good printing resolution of 24000*600 DPI. The Canon LBP2900B Laser Printer can provide more than 2000 pages print and have a warranty of 1 year. When it comes to the cost, each Canon LBP2900B Laser Printer offers printout for Rs. 2.80 as per the ISO standards.